Kashf (Arabic: كشف‎‎) "unveiling" is a Sufi concept rooted in Gnostic ideals dealing with knowledge of the heart rather than of the intellect. Kashf describes the state of experiencing a personal divine revelation after ascending through spiritual struggles, and uncovering the heart (a spiritual faculty) in order to allow divine truths to pour into it. Kashf is etymologically related to mukashafa “disclosure”/ “divine irradiation of the essence”, which connotes “gain[ing] familiarity with things unseen behind the veils”. For those who have purified their hearts, and who come to know the Divine Names and Attributes to the fullest of their individual capacities, the veils in front of the purely spiritual realms are opened slightly, and they begin to gain familiarity with the unseen. In Sufism, an even further revelatory capacity exists by which the Divine mysteries become readily apparent to the seeker through the light of knowledge of God. This is called tajalli "manifestation". [53.57-58] The Imminent is imminent; apart from God none can disclose [remove] it. The verb “kashafa,” but never the noun “kashf” occurs in the Qur'an a variety of times in the sense of either “to uncover” (a part of the body) or “to take away” (misfortune, danger). Muhadara—getting oneself into position vis-à-vis the objective sought. The objective remains veiled at this stage. This stage presupposes the presence of the heart, but relies on transmission of proof through the intellect (i.e. understanding God through his miraculous signs). Mukashafa—lifting of the veil. Here reasoning (of the intellect) gives way to evident proof (through intuition). One directly encounters the Attributes of God. Yet, this stage is still considered an intermediary stage. Mushahada—direct vision. This stage indicates an immediate encounter with The Real, without the intellect OR the intuition acting as an intermediary. This is direct experience of the Divine Essence. It indicates an inner state of purification, which is subjective and brought about by “unveiling” or kashf. It describes the objective truths that are revealed through the “unveiling”/kashf. 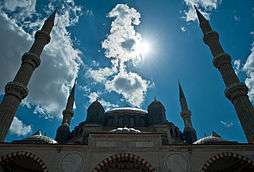 Since, for Al-Ghazali, kashf is linked to intuition, he describes mukashafa as the certain knowledge of the unseen discovered by the “science of the saints”. Thus, kashf is considered “a light,” that is freely bestowed upon the purified worshipper through the grace of God, yet also yields sure intuitive knowledge for the worshipper upon whom it is bestowed. Ibn Arabi—This Sufi mystic indicates the necessity for “divine unveiling” (kashf) as the means by which to understand the universality of the reality of realities (i.e. the universality of God’s oneness). In fana (self-annihilation), the individual ego passes away and divine self-manifestation occurs. This self-manifestation is eternal (as it comes from God), but it must be continually reenacted by the human in time. Therefore, the human becomes a pure receptor required for pure consciousness to be realized. The human is a sort of barzakh or intermediary between divinity and elementality, between spirit and matter, and open to the experience of kashf. Ali Hujwiri—The author of the Persian Sufi text Kashf ul Mahjoob (Revelation of the Veiled) Hujwiri argues, along with Al-Kushayri that very few real Sufis exist anymore in his time; rather, there are a large number of “false pretenders” which he calls mustaswif—“the would-be Sufi”. 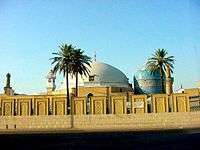 In his text, Hujwiri describes the “veils which should be lifted” in order to purify one's heart and really pursue Sufism. Hujwiri argues for the importance of “morals” over “formal practice” in Sufism. He was the first to directly address the problematic diversity in Muslim belief during his time. In Kashf ul Mahjoob, he describes various Sufi approaches to theoretical ideas, linking them to particular key Sufi figures. In Shi’ism, the spiritual experience of kashf is treated as a theological rather than purely mystical dimension. Ismalis—these followers of Shi’ism put emphasis on kashf in a double sense as both a Gnostic and cosmic “state.” The Ismalis define “cycles of metahistory” which alternate between phases of “unveiling” (dawr-al-kashf) and “occultation” (dawr-al-satr). The concept of kashf remains controversial in the Muslim world because it indicates the ability to “know” the unknowable. According to the Qur'an, Muslims are required to believe in the unseen (namely Allah), but knowledge of the unseen is a power that should belong solely to God. But it does not contradict the quran because only God has knowledge of the unseen and if someone else other than God has that knowledge, then it's only because it was given to them by God. Sufis further would argue that “the only guide to God is God Himself”. They do believe that every genuine worshipper has the capability to experience unveiling (personal revelation), but that this personal revelation occurs by the grace of God. If a worshipper fails to experience unveiling, it indicates that that person is pursuing Sufism for a reason other than the love of God alone. God is in fact the one who does the unveiling once a person has given up on all worldly forms of knowledge and his/her heart is pure and open for God. Ibn ‘Arabi calls this “inner receptivity”  to the manifestation (tajalli) of the Divine Mysteries, the essence of which is mukashafa. Peripatetic scholars such as Avicenna, al-Kindi, and al-Farabi argue that the intellect unaided by divine unveiling (kashf) is sufficient in order for man to attain ultimate truth. Sufis such as Bayazid Bastami, Rumi, and Ibn al-Arabi, contrarily argue that the limited human intellect is insufficient and misleading as a means of understanding ultimate truth. This kind of understanding requires intimate, personal, direct knowledge resulting from the removal of the veils separating man from God as given to man by God himself. This is kashf. Kashf kaunī, revelation on the plane of the created things, is a result of pious actions and purifications of the lower soul; it becomes manifest in dreams and clairvoyance. Kashf ilāhī, divine revelation, is a fruit of constant worship and polishing of the heart; it results in the knowledge of the world of spirits and in cardiognosis ["soul-reading"] so that the mystic sees hidden things and reads hidden thoughts. Kashf aqlī, revelation by reason, is essentially the lowest grade of intuitive knowledge; it can be attained by polishing the moral faculties, and can be experienced by the philosophers as well. Kashf īmānī, revelation through faith, is the fruit of perfect faith after man has acquired proximity to the perfections of prophethood. He will be blessed by direct divine addresses — he talks with the angels, meets the spirits of the prophets, and sees the Night of Might and the blessings of the month of Ramaḍan in human form in the ālam almithāl. 1 2 3 4 5 Gardet, L. "Encyclopedia of Islam, Second Edition". "Kashf". Retrieved 27 September 2013. ↑ Gulen, M. Fethullah (2004). Key Concepts in the Practice of Sufism: Emerald Hills of the Heart, Vol. 2. Somerset: The Light, Inc. p. 108. ↑ Gulen, M. Fethullah (2004). Key Concepts in the Practice of Sufism: Emerald Hills of the Heart, Vol. 2. Somerset: The Light, Inc. p. 115. ↑ Trans. A.J., Arberry (1996). The Koran Interpreted. New York: Touchstone. ↑ Ibn al-Jawzi, Mawdu'at. Narrator Sahl ibn Sa'd al-Sa'id. Translated by Cyrus Ali Zargar. 1/166. ↑ Morris, James Winston (2005). The Reflective Heart: Discovering Spiritual Intelligence in 'Ibn Arabi's Meccan Illuminations. Louisville: Fons Vitae. p. 115. ↑ "The Invocation (Munajat) of Shabaniyah". ↑ Sells, Michael (1998). "Ibn Arabi's Polished Mirror: Perspective Shift and Meaning Event". Studia Islamica. 67: 121–149. Retrieved 27 September 2013. ↑ Karamustafa, Ahmet T. (2007). Sufism: The Formative Period. Berkeley: University of California Press. p. 101. ↑ Karamustafa, Ahmet T. (2007). Sufism: The Formative Period. Berkeley: University of California Press. p. 103. ↑ Hoffman, Valerie (1995). Sufism, Mystics, and Saints in Modern Egypt. Columbia: University of South Carolina Press. p. 218. ↑ Morris, James Winston (2005). The Reflective Heart: Discovering Spiritual Intelligence in 'Ibn Arabi's Meccan Illuminations. Louisville: Fons Vitae. p. 61. ↑ Chittick, William C. (1981). "Mysticism versus Philosophy in Earlier Islamic History: The Al-Tusi, Al-Qunawi Correspondence". Religious Studies. 17 (1): 87–104. doi:10.1017/S0034412500012804. Retrieved 4 April 2011.